We are currently in the golden age of storage -- NVMe solid state drives are insanely fast and getting increasingly more affordable. Whether you are a gamer or performance enthusiast, you are probably in tech heaven. Today, Corsair launches its latest storage drive, and yes, it is an NVMe PCIe SSD. 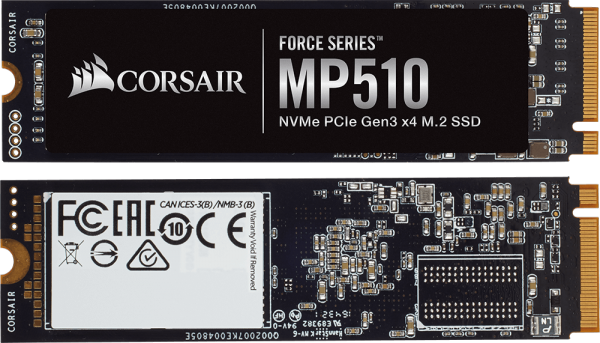 The "Force Series MP510," as it is called, offers blazing fast performance -- 3,480MB/sec read and 3,000MB/sec write. 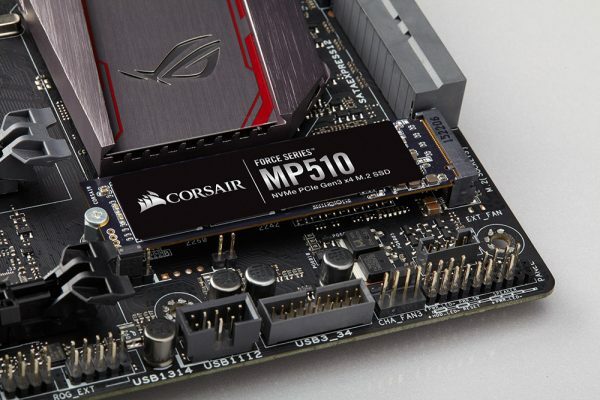 "The MP510 offers extreme storage performance in the ultra-compact and simple M.2 2280 form factor, fitting directly into a motherboard or notebook. 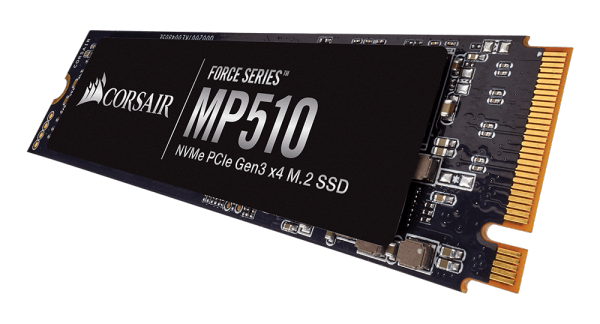 Utilizing the ultra high-speed NVMe PCIe Gen3 x4 M.2 interface for maximum bandwidth, the MP510 leaves traditional SATA 6Gbps and even previous generation M.2 SSDs in the dust," says Corsair. The company further says, "Loading everything from large video and image files to games, applications or the operating system faster than ever before, the MP510 supercharges your system’s performance, whatever you’re doing." The MP510 can be had in several capacities -- 240GB, 480GB, 960GB, and 1920GB. The drive comes with an impressive 5 year warranty too. The 240GB version is priced at $65.99 on Amazon, the 480GB is $124.99, and 960GB is $235.99. No word on cost for the larger 1920GB variant yet.